Well done to the Australian team of 12 boys and 3 girls who competed in the World Youth 4.7 Worlds held between 16th and 24th July at Nieuwpoort Belgium. In the boys Finn O’Dea was 5th in the 235 boat fleet and Zac West 7th. In the 115 boat girls fleet Kristen Wadley was 10th and Paige Caldecoat 14th. 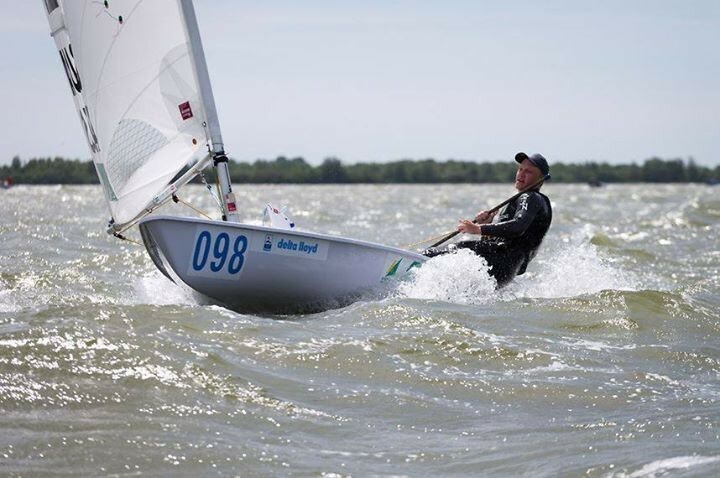 There is a new ALCA ranking policy for Australian Laser Sailors who apply for entry to ILCA World Masters Championships. The new policy will apply for the September 2018 World Masters in Dun Laoghaire Ireland and ongoing. Up until the 2017 Masters in Split Croatia all Australian masters applicants have been offered place. With the increased popularity of the event, the desire to run Radial and Standard rig fleets at the same time, venue capacity and charter boat limitations some applicants will likely miss out in Split. Consequently it was considered by the ALCA that a fairer ranking system was needed. The new ranking arrangements are based on results at Worlds, National and District Masters Championships rather than the old one which was based on the order of placement of online entry applications. As of July 10, we are halfway through the voting period on these ILCA rule changes. Voting is open to all members in our district – one vote per member. Members of a Laser District can vote on these changes until 10th October 2017. Click HERE to see full detail of the proposed changes and to vote on them. Good luck and good sailing to all our sailors in these events. Youth 4.7′s: Paige Caldecoat, Sylvie Stannage, Kristen Wadley, Michael Compton, Boston Cortis, Daniel Costandi, Axel Fleet, Ezra Kaye, Jack Littlechild, Mark Louis, Finn O’Dea, Michael Parks, Nicholas Smart and Zac West. Under 21 Radial: Elyse Ainsworth, Marlena Berzins, Annie Eastgate, Casey Imeneo, Mara Stransky and Zoe Thomson. Under 21 Standard: Lachy Gilham, Harmon Mcaullay and Daniel Self. There is an event site which covers the two events the Laser Men’s and Master’s Championships to be held in Split Croatia HERE. There is some information on available accommodation in Split from the event organisers HERE. For long term planning the 2018 Laser Masters World Championships will be held 7-15th September 2018 in Dun Laoghaire Ireland. The South Pacific Laser Masters are on again at Royal Queensland Yacht Squadron. Pencil in 21-24 July, 2017 for great Masters competition and superb sailing. Early bird discount entry is only $190 including the popular Thursday night Laser Forum and the famous Regatta Dinner. Don’t miss out – you’ll find the 2017 SPLM NOR and entry form HERE and you can enter online HERE. 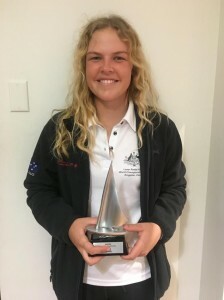 Congratulations to Marlena Berzins and Zac West for their wins in the East Coast Championship held at Georges River Sailing Club last weekend. Despite the un-cooperative weather Saturday saw four light wind races completed. On Sunday there was no wind to speak of and no races. This saw the series scored over four races with no drops. Marlena RSYS/DBSC won in the Radials with 1,1,2,2 places from Nathan Bryant RPAYC 2,2,1,4 and Jack Littlechild RSYS/DBSC 4,3,3,1. 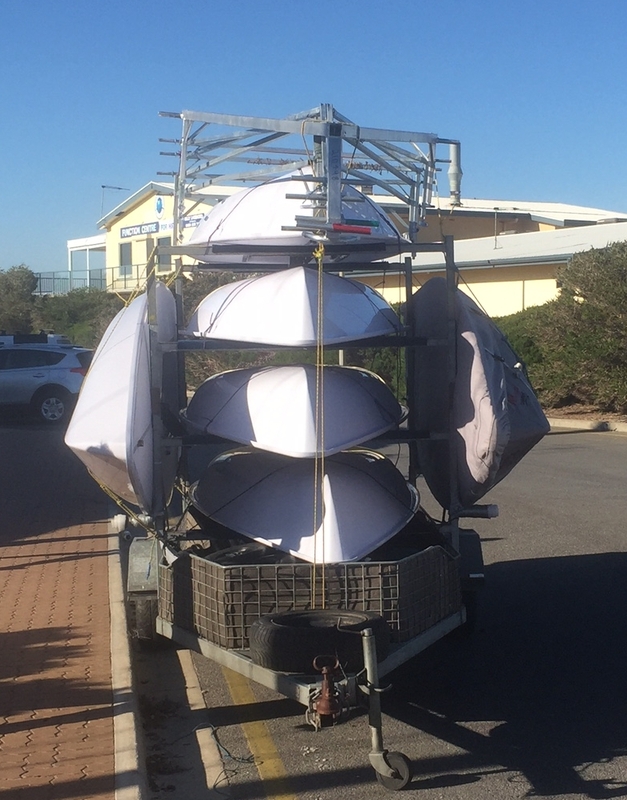 In the 4.7′s Zac West RSYS/DBSC was very consistent posting 2,2,2,2 to win followed by Sylvie Stannage RSYS and Archie Gargett KCC (Kurnell Catamaran Club). The full results for the series are HERE. The NB Sailsports sponsored East Coast Championships will be held at Georges River 16′ Sailing Club (Sanoni Ave, Sandringham) on the Queen’s Birthday long weekend 10-11 June 2017. This event is open to Laser 4.7 and Radial sailors of any age as well as Opti and 420′s. The Notice of Race is available HERE. Online entries can be placed on the NSW Opti web site HERE. For more information there is a brief for the event HERE. In an effort to encourage a few more registrations to come through before the weekend, the late fee of $100 on this occasion will not be applied if there are any late entries ahead of the weekend for this regatta. We are currently at around 85 boats all up in total across all classes. Would be great to hit the 100 mark! Results from the Grade 1 Delta Lloyd Regatta in Medemblik, Holland are HERE. There were 100 competitors in the Men’s and 68 in the Women’s. Well done to Matthew Wearn 3rd and Mitchell Kennedy 4th who were joined by Finn Alexander in the medal race to finish 8th. Not bad with three Aussies in the top 10. There were 5 Australians in the Women’s event with Zoe Thompson best placed at 37th. DBSC’s Marlena Berzins sailed her absolute best with some great results to come out with 60 out of 68 Competitors in the Women’s fleet. Following is a list of Laser events in NSW & ACT for next season 2017/18. Masters sailors please note that we have now combined the Open and Masters States to be held at Double Bay 18-19th November 2017. Our traditional February Masters would be very close to, and detract from, the National Masters at Mooloolaba 9-12 February 2018. The full list of known events including World and National Championships is on the Events Page. If you have open invitation or inter-club events which you would like us to include on the list please send us a message HERE. A printable (pdf) summary of the full list of Laser events is HERE. Mike Lee advises that the Royal Sydney Yacht Squadron are running their winter series again this year. Laser sailors are welcome to compete. Racing starts at 930AM each day with up to three races each day (no race after 1130AM). The sailing instructions are HERE and you can enter online HERE. Applications for entry will open Tuesday, 4 April 2017 at 00:01 Central US time for the 2017 ILCA World Standard and Masters Championship regattas. I don’t know how many entries will be allowed but last I heard it will be limited by the amount of rigging space which seems a shame. It will be the usual thing with limited acceptances to start with. Our ALCA ranking policy will apply (http://www.lasersdownunder.com/masters-policy/). It could be quite a while before we know if, for the first time ever, all Aussies who want to go will not get in! So remember first in, best dressed…..